Participants of the Park City Trail Series 15K head out on Hat Trick trail in Round Valley in August 11, 2018. The cold, rainy spring has so far not been great for doing much besides catching up on Game of Thrones and dreaming of sunnier days, which makes it the perfect time to plot out the running season. Here is a non-comprehensive list (there are a lot) of summer runs and triathlons in Park City and Summit County including race series, individual events and kids’ options, so when those itchy feet can finally slip into running shoes, they have a reason to fly. 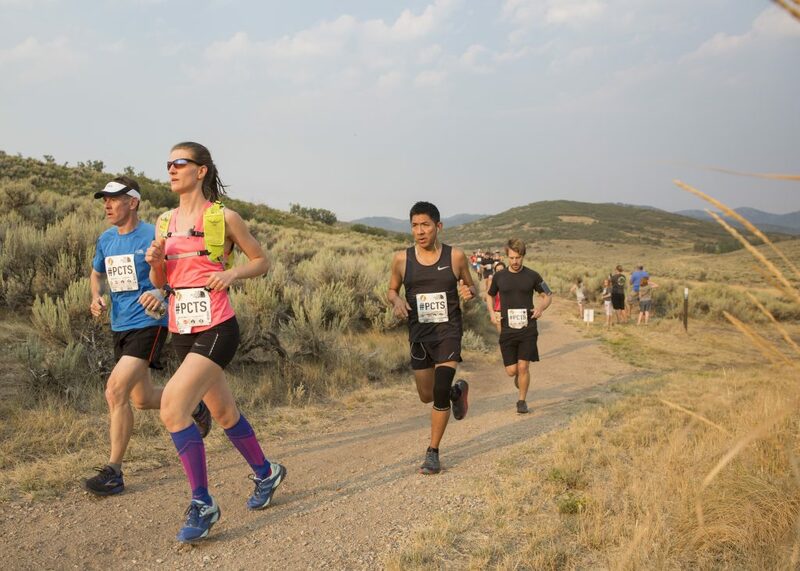 The Park City Trail Series, organized by Salt Lake Running Company, is a four-race series on Round Valley trails that build in length throughout the season. The series includes a 5K on June 1, a 10K on July 13, a 15K on Aug. 10 and a half marathon on Sept. 21. All races start at 8 a.m. and leave out of the Quinn’s Junction Trailhead. The competitions are built with beginners in mind and have well-marked trails and frequent aid stations. Dogs are permitted, though runners with dogs will be held until the last heat. Registration for all four events is $155 until May 5, when it jumps to $165. Registration for individual events starts at $45. There is no day-of registration, and the series is limited to 500 runners. The Triple Trail Challenge is an adventurous series. It starts with the Round Valley Rambler on June 8, which runners can complete as either a 7K as a one-off or as a half-marathon that counts as part of the Triple Trail Challenge. The second race in the series is the Jupiter Peak Steeplechase. On July 13, it covers a 16-mile loop that starts at the base of Park City Mountain Resort, ascends 3,000 feet to the top of Jupiter Peak (10,000 feet) then comes back down. The final race of the series is the Mid Mountain Marathon on Aug. 17. It runs from Silver Lake at Deer Valley along the Mid Mountain Trail for roughly 20 miles and finishes at the Utah Olympic Park. It is largely shaded singletrack at an elevation of 8,200 feet. Whole-series registration for new participants, which includes a Triple Trail Challenge jacket, is currently $345. The price jumps up to $390 on June 6. Returning competitors can register for $305 until June 6 when the price hikes up to $350. Returners don’t get a jacket. Dogs are not allowed. Any proceeds benefit the Mountain Trails Foundation, which maintains trails around Park City. For more information, including prices on individual races, go to mountaintrails.org. Tri Utah hosts triathlons around the state, two of which take place in Summit County. The Echo Triathlon on July 13 consists of a run along the Historic Union Pacific Trail alongside Echo Dam Road. The swim is a loop near Dry Hollow and the bike is an out-and back leaving from near Dry Hollow and going northeast along Echo Canyon Road out past Lord Canyon. The Jordanelle Triathlon, scheduled for August 10, consists of a run that crisscrosses around Rock Cliff Campground, an out-and-back bike east down S.R. 35 and a swimming loop in the Jordanelle Reservoir leaving from the Rock Cliff Boat Ramp near the mouth of the Provo River. Both include a full Olympic format event – a 1,500-meter swim, a 24.8-mile bike ride and a 10K run – plus a truncated sprint triathlon, where the distances are halved in each event, and then individual events like a separate 10K run or open water swim. Prices start around $80 for both events for individuals and increase as race day approaches. There are also team options. For more information go to triutah.com. Basin Recreation lists several races on its summer calendar: the StART of Summer Color Run on June 22, a Pie N’ Beer Run on July 20, a Back To School Glow N’ Go on August 10, a Run for Recreation on Sept. 7, and a Celebrate the Spirits Trick-or-Treat Run on Oct. 26. The first is a 5K fun run at Willow Park with powdered paint stations, with options to run 1 mile, or a 100-yard dash for kids. Registration is $45 for a family or $15 for an individual. Information about the other races and more information is available at basinrecreation.org. Running with Ed: May 18 Running with Ed is one of Park City’s most visible fundraisers. The run encompasses all of Park City. All told, runners cover 38 miles over 10 legs, either as individuals or a team. Costumes are highly encouraged. All money raised goes to the Park City Education Foundation. Regular registration ends April 18, with registration for adults starting at $95. Students and Park City School District employees can register at a discounted price of $50 through April 30. For more, go to runningwithed.com. PCHS Memorial 5K: May 27 The Park City High School honors society hosts this annual event in honor of those the community has lost each year. The race begins and ends at Dozier Field, and gives participants and spectators a chance to celebrate their lost loved ones by creating banners. There will be food and live music. Same-day registration is available. Individuals can sign up for $20. Groups of six or more people can register at $10 per person. Prices increase by $5 per person for day-of registration. For more information go to parkcitynhs.weebly.com. Red Bull 400: June 1 The Red Bull 400 is a near-vertical sprint up the Utah Olympic Park’s K120 ski jump. Red Bull covers the hill in netting and times heats of runners (approximately 1,200 individuals last year) from the bottom to the very tippy top of the 400-meter track. Red Bull hosts a few of these events around the world, but Park City’s is the highest, starting at an altitude just below 7,000 feet. Price for individual racers is currently $60 or $100 per person in a custom heat. For more information go to redbull.com. Ragnar: June 14 Teams of up to 12 people run over two days, one night, from the city of Logan to High Star Ranch near Kamas – close to 190 miles. Registration varies with team size, with a 12-person team costing $1,800 and a six-person team costing $1,020. Registration closes May 7. For more information go to runragnar.com. Twisted Fork: June 29 A 64K (39.8-mile) footrace around Basin Recreation trails leaving from the Basin Recreation Fieldhouse and looping around Flying Dog trail and then up Mormon Pioneer and Great Western trails. The finish area at Newpark Town Center will have live music, food, drinks and an awards ceremony. Registration is $110. For more information go to twistedforkultra.com. Utah’s Toughest Triathlon: Aug. 3 The name says it all. Utah’s Toughest Triathlon is billed as the most difficult ultra-triathlon in the state. It goes from the Jordanelle Reservoir to Brighton Resort, gaining approximately 19,000 feet of elevation along the way with minimal aid and fanfare. Racers can sign up as an individual or a team of two or three people. Prices run between $250 and $500. Beware, this race is meant to be extremely challenging in every way. More information available at ironcowboyracing.com. Moose on the Loose series The Moose on the loose trail running series caters to kids between the ages of 3 and 13, and is designed to build enthusiasm for the sport. Races are broken down into age-group distances, starting with a half mile and reaching about 3 miles. 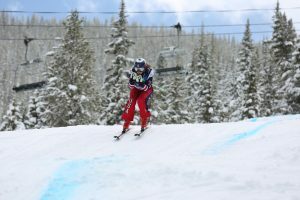 The series has three races: one at the Quinn’s Junction access to Round Valley on May 4; one in the trail system below the Utah Olympic Park on June 1; and one at the Trailside area in Round Valley on July 13. Registration is $55 per race for the season. More information is available at mooseontheloose.run. Tri-Kids Tri-Kids123 hosts camps and triathlons that focus on building fundamentals, increasing self-esteem and instilling a love for the sport of triathlon. The organization is hosting two camps this year: one on July 1-5, with July 4 off, and one from July 29-Aug. 2. They are followed by mini triathlons at Ecker Hill Aquatic Center on July 6 and Aug. 3 designed for kids ages 5 to 12 years old. Campers will receive instruction on cycling, swimming, running, nutrition and how to transition between events. The price of registration starts at $225 for camps, or starting at $40 for individuals just competing in the triathlons. Race day registration is $50. More information is available at trikids123.com. 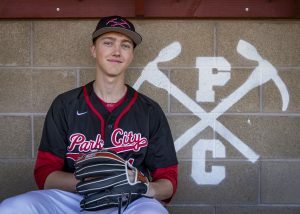 Park City Running Club Park City Running Club is a nonprofit geared toward teaching runners ages 9 to 14 years old the basics of track and field running, plus values like teamwork, self-discipline and the benefits of a healthy lifestyle. The club keeps a busy calendar of races and practices, which began this month and culminate late June with the possibility for the club’s competition team to attend post-season USATF events running into late July. A season costs $200 plus race fees. For more information go to parkcityrunningclub.com.